When you think of prominent creatives in Sydney, there is one person that comes to mind, Elise Pioch Balzac. Not only is she one of the most stylish and elegant women we’ve ever encountered, but her passion and warmth permeates everything she does and everything she creates. It’s no secret we’re obsessed with her collection of handmade scented candles, Maison Balzac. When not at their picturesque country home in Lower Portland, NSW, Elise can be found at her Botany workshop, with husband Pablo Chappell (of Chapelli Cycles) and daughter LouLou. Bicycles occupy the front space, which gives way to a small kitchenette and out on to the veranda. It is here that we find Elise, in a cosy studio, which Pablo crafted for her by hand (talk about talented couples!). There is minimal decoration, just a print of Versailles, and an old portrait of the Balzac family, on whom the collection is based. Elise’s childhood memories, in the South of France, have provided the inspiration for the collection, from the lavender bath her grandmother used to draw her, to the thyme tea they would drink daily. Yes, we’ve long admired Elise and were fortunate enough to take two to chat inspiration, collaborations and what’s in the works for her beautiful collection, Maison Balzac. TUL: You were raised in Southern France, what prompted the move to Sydney? Elise: I am born in Beziers (south of France) where I grew up until I was 18 years old. We lived in a tiny village called Villeneuve les Beziers where my Balzac family (on my mother's side) lived for generations. Every time I go back there, people recognise me and know everything about me, although I have been away for the last 20 years (I lived in Paris for many years then moved to Australia). All my school friends still live there, they haven't moved! It's a really pleasant part of France so I can understand why. I moved from France to Melbourne by accident ten years ago, and moved from Melbourne to Sydney in 2008 as I was offered a buying position at Belinda and The Corner Shop boutiques. Initially, I came to Australia for a three-month holiday. I only had summer clothes and no intention to stay, but you live in a very attractive country and it was impossible to go back to France. I could feel that something great was going to happen to me in this optimistic, welcoming and happy city. My gut feeling was right! TUL: Tell us a bit about how you got started? Elise: Candle making for me is a way to create perfumes linked to memories and to dip them in wax in order to share them with an audience. I am not passionate about candles; I am passionate about the olfactory memories that they allow me to fabricate. I was missing home so much that I found this solution to remind me of France. What was a philanthropic adventure turned into a successful business… But life is full of surprises! Now the list of products and stockists is ever growing, organically and very nicely. TUL: Where do you find your creative inspiration? 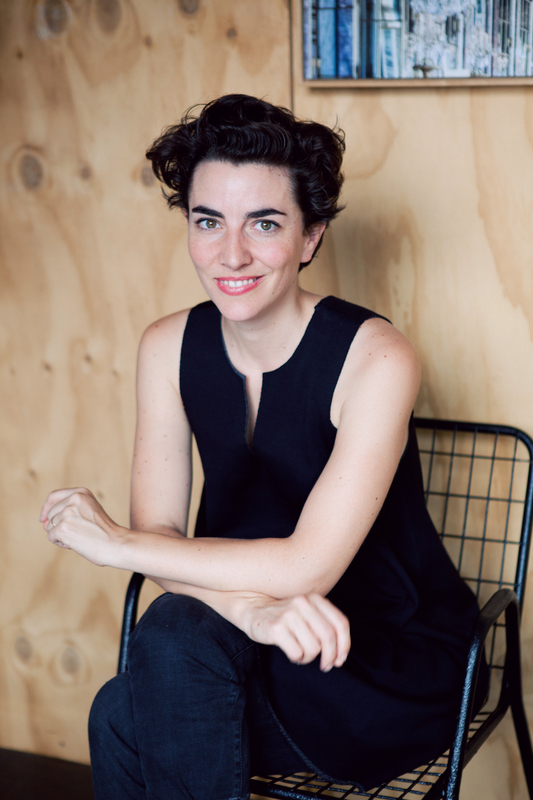 Elise: The core of my business is about bespoke fragrances that my Sydney perfumer develops exclusively for me, based on my memories from growing up in the South of France. Telling a story through perfumes is what interests me. They are all inspired by the nature that I know so well. For example LE SUD is based on the bath infused with fresh lavender that my grandmother used to pour me every week, or LE BOIS is about the walk we would have in the nearby woods every Sunday with my family, the smells of earth, moss, pine needles and the sun. TUL: Who is your muse? Elise: My mother Nadine and my grandmother Jeanine Balzac, as well as Lee Miller, Loulou de la Falaise, and Coco Chanel. TUL: What scents excite you the most? Elise: One of my favorite smells is actually the one of burnt feather, so one day I will try to catch this in a candle. My other obsession is the smell of thyme; we are about to launch two candles around this delicious herb. TUL: Do you have a personal favourite? Elise: Our latest collaborations with Doctor Cooper Studio (1642) and Lyn & Tony (L'Etrangete and L'Obscurite) are my current favorites. They are so deep, so complex and tell such beautiful stories. They are similar to reading a book but with your eyes closed. TUL: Now, we are big fans of your sartorial style here. How would you best describe it? Elise: I truly believe in timeless, androgynous, very well made clothes. I never dress for others but only to feel comfortable, elegant and sometimes to be cheeky. Elise: I rarely shop, which is hilarious given the job I used to do. I simply don't have the time. But if I had the time, I would shop at Uniqlo and Muji for knits, Cos for everything, Marni, Dries Van Noten, Isabel Marant, MyChameleon, Golden Goose, Comme des Garcons and Hermes (one day!). Elise: I am completely obsessed with the work of 5.5 design studio in Paris and Buly1803. TUL: Where would we find you in your spare time? Elise: At my country house, one hour drive north of Sydney. It’s an 1880's church by the Hawkesbury River that I have renovated with my husband Pablo. TUL: Favourite places to drink and dine in Sydney? Elise: Drink at Golden Age Cinema and Bar in Surry Hills and dine at The Boatshed La Perouse. The view is simply breathtaking and because it's so far from Sydney’s CBD it's never crowded. TUL: Lastly, what’s next on the horizon? Elise: So much that my head is spinning! New glass cloches with heavy marble bases (white or black), two new hand creams, possibly another collaboration with Doctor Lisa Cooper and so much more. Maison Balzac candles are available online, at The Standard Store in Surry Hills or at one of the many stockists listed here.